The Empire Strikes Back is regarded by many as one of the best Star Wars films to this date. This film allowed us to explore more corners of the galaxy far, far away that we all dreamed we could some day visit and amongst the places that this movie took us to was Dagobah, the planet where the renowned Master Yoda went into hiding. 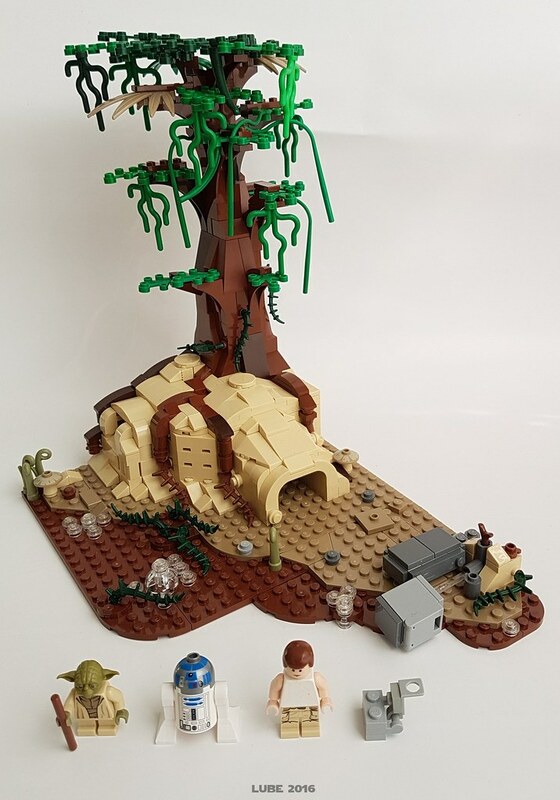 The official LEGO Star Wars theme has already given us two sets based on this planet and they both were Yoda’s Hut. Nonetheless, the latest iteration of the set is somewhat simple and didn’t quite meet our expectations. 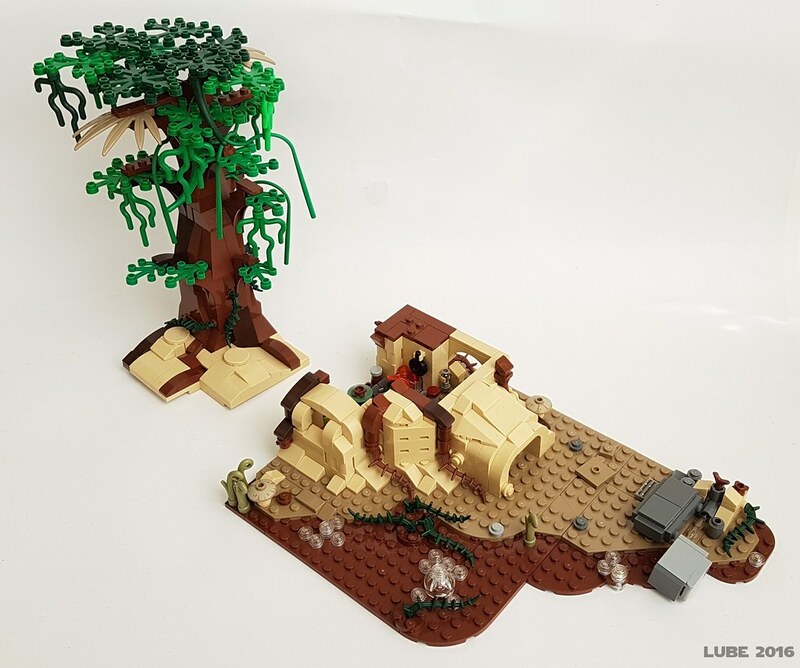 That’s where Flickr user Lubeee’s LEGO Star Wars Yoda’s Hut MOC comes into play. Unlike the official set, Lubeee’s creation is bigger and more detailed. The hut itself features the standard tan and brown color scheme you’d expect from the hut as well as a compact design and a tall tree growing on its side. The tree and the roof are both removable which allows you to take a peek inside of the hut. Just like in the movie, the hut is compact and can barely fit more than two minifigs. In regards to the interior, it’s as detailed as you’d expect. There’s a bunch of small bricks that represent plates, food, pans, and a bunch of other random items. Also, Lubeee has also included a light up brick to represent Yoda’s fireplace. As for other nice additions to the creation, not only do we have the hut itself, but we also have Luke’s small camp. Though it’s mainly comprised out of two crates and his backpack, it adds a cool layer of playability as it enables you to simulate Luke’s force training sequence from the film. All in all, this MOC is quite impressive and I suggest you take a look at Lubeee’s Flickr Photostream to check out his other creations. You can also visit this photo album to take a closer look at the Yoda’s Hut.